At 9AM on day one of TNW Conference 2016, thousands of smartphone cameras were hurriedly turned on in an attempt to capture the event’s opening performance. FALT, a famous Dutch electro band, was performing a newly composed piece of music that was carefully choreographed to introduce the incredible technology that served as a backdrop to the main stage: 2.7 kilometres of LED strip lighting, 100m2 of HD LED screens and movement tracking sensors, all powered by 14 computers. It was the perfect marriage between music and technology, and (according to twitter) one of the highlights of the whole event. For the TNW Events team, it mainly left us thinking how fundamental the relationship of music and technology is, and how interesting a content track on this topic could be. It’s no mystery that music and tech have always gone hand in hand, now more than ever. This year, MassiveMusic, Spinnin’ Records and TNW are delighted to present Music Summit, an entirely new and specially curated three hour program that will take place on the second day of TNW Conference 2017. Enlisting a unique combination of tech legends and music pioneers, the Music Summit will aim to inspire decision makers, industry leaders and creatives with stories born at the intersection of music and technology. The program’s line-up includes Hardwell on growth hacking (DJ, record producer), Molly Neuman on the business of music (Head of Music, Kickstarter), Colin Benders showing us his modular analog synthesizer (Musician, Composer and Producer), Poppy Crum on the neuroscience of sound (Chief Scientist, Dolby Labs), Henry Daw on UX/UI sound design (Sound Specialist), and Meindert Kennis (CMO, Spinnin’ Records). They will each be imparting insights on how brands, advertisers and creatives from their respective fields can harness the power of sound through the latest trends in technology. Besides inspiration and entertainment, the program is also meant to highlight the importance of music in brand consistency and how crucial it can be for brands who are trying to cut through the noise emotionally. 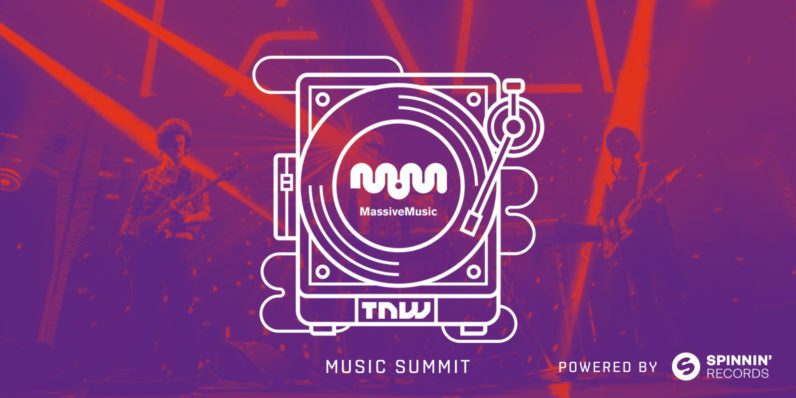 The Music Summit will be held in front of 1,000 attendees at TNW Conference and is co-hosted by MassiveMusic and powered by Spinnin’ Records. To learn more visit the TNW Conference website or follow the livestream during the event.